The AC side played its first game of the new season at the home field though unfortunately for them and their loyal supporters, put on a forgettable display against the Canucks of Calgary. A couple of soft turnovers gave the Canucks good field position on which they capitalized with 2 early tries. 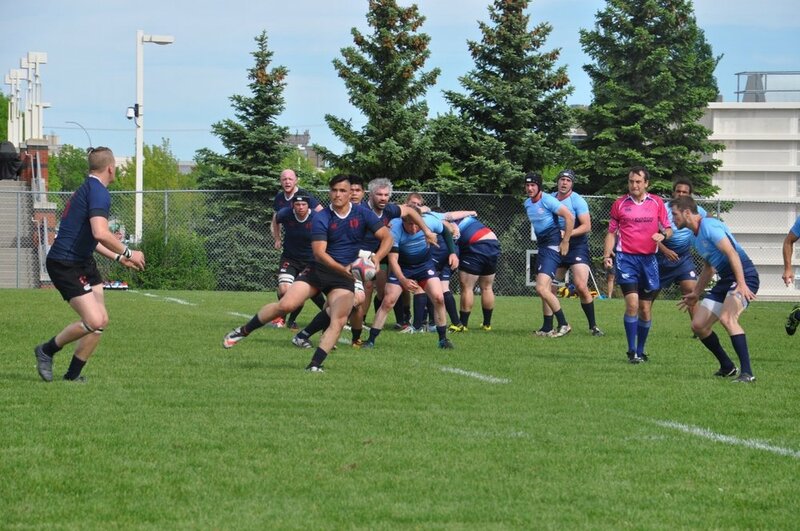 The Clan responded through the trusty right foot of Mike Adibe, though the Canucks responded with another couple of easy tries to finish the half 24-6 up. Near the end of the first half, a very serious injury to the Clan's Italian prop Lorenzo Marini stopped the game for around 25 minutes as he needed to be assisted from the field in an ambulance. Fortunately for Lorenzo, the Dr's at the Royal Alexander managed to relocate his hip without having to perform surgery. The second half didn't prove any easier for the Clan as the Canucks piled on 4 more tries through their lethal finishers out wide. The Clan managed to dot down twice through Andy Stead and Mike Adibe at the death. Final score 52-16. All in all, a really tough day for the Clan who must be ruing the amount of drop balls and easy turnovers which gifted the game to the Canucks. Noteworthy performances came from Conor Pullin who was always a threat in the backs, as well as Kieran Plihal who carried hard, won turnovers and scrummed very well, especially considering he backed up from 80 mins the night before for the 2nd squad. 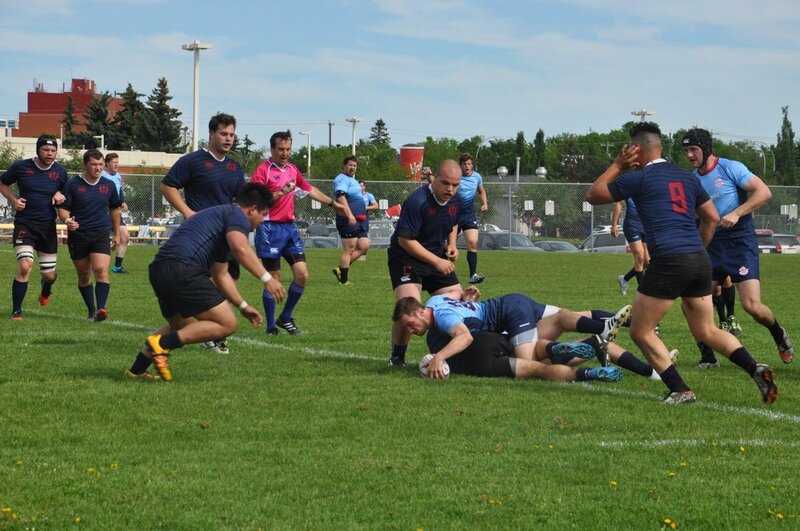 On Friday evening the Clan super2s (1-1) travelled to an industrial area in southeast Edmonton to play the Leprechaun Tigers (2-0). It was a tightly fought match with the Clan taking a 12-10 lead midway through the first half thanks to two sideline sprint tries by under-21 standouts Javhon Laing and Elias Mawa. Sean Wright converted the 2nd try and was having a strong all around fly-half performance before going out with a second half leg injury. The LTs added a penalty to go up 13-12, and on the last play of the first half they recovered a grubber in the end zone to post an 18-12 half-time lead. The super2s won the possession and territory battle for most of the second half, but unfortunately our handling and execution let us down at key moments. The tight five and back row did a good job winning plenty of clean ball. 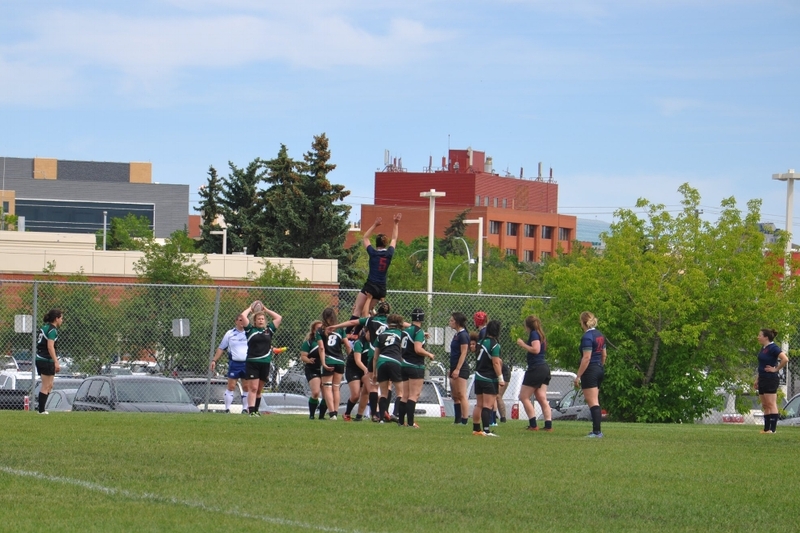 However, the breakthrough eluded us somehow and the team named after the mythical creature no one’s ever heard of or attempted to draw wound up taking a 9 point lead then added two late tries to seal the deal. 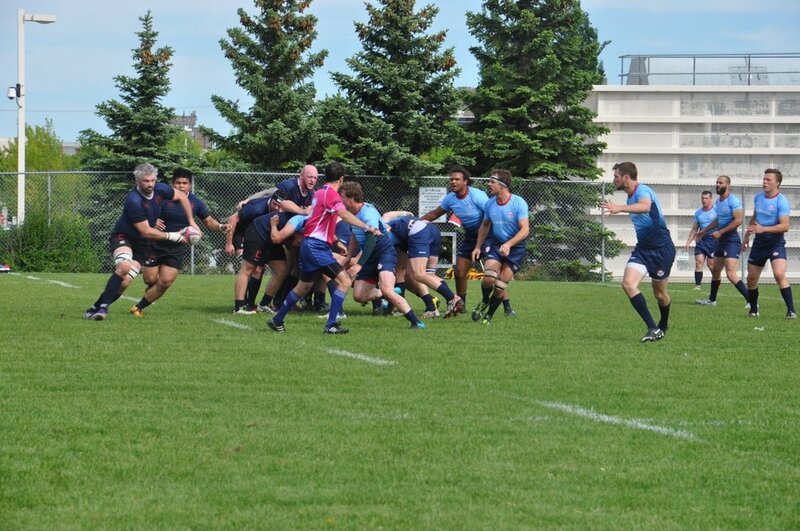 It was a missed opportunity for the super2s to take points off the top team in the standings. That said, it was still an important step forward for the group in terms of putting together sections of quality play within the team structure. Dan Nguyen at fullback had the hit of the day, steamrolling whichever LT back it was who dared to break the line. Jake Peake and Derrick De Leon did a good job shutting down the opposition midfield. Also, congrats to Cole Anderson and Geraint Langford on their super2s starting debuts! Next week we hope to get back to .500 against the NorWesters. The Clan’s Thirsty Thirds made the trek east to Lloydminster to take on a newly amalgamated team of Reapers and Cold Lake Penguins players. Starting the match a man short, the lads played a controlled and focused first half using ball possession to their advantage. Ahead 12-7 thanks to inspired play by Geraint Langford and hard defence from newly minted centre Ryley Irving, the tide started to turn early in the second half when San Potkins arrived and immediately proceeded to make a 40 metre run for the try that took the wind out of their sails. Maintaining their composure after the home team lost theirs, the pressure increased and the lads found their stride. Tim Moore and Jahvon Laing finished as Men of the Match, and did a remarkable job during the post game festivities. Shout out in closing to the men that played in their second and third games of the week. The 2-1 Third’s are on next to battle the 1-2 Pirates in 2 weeks. This past Wednesday, the Clan U21 men got their season started with a home fixture against the Druids after a washout the previous week. 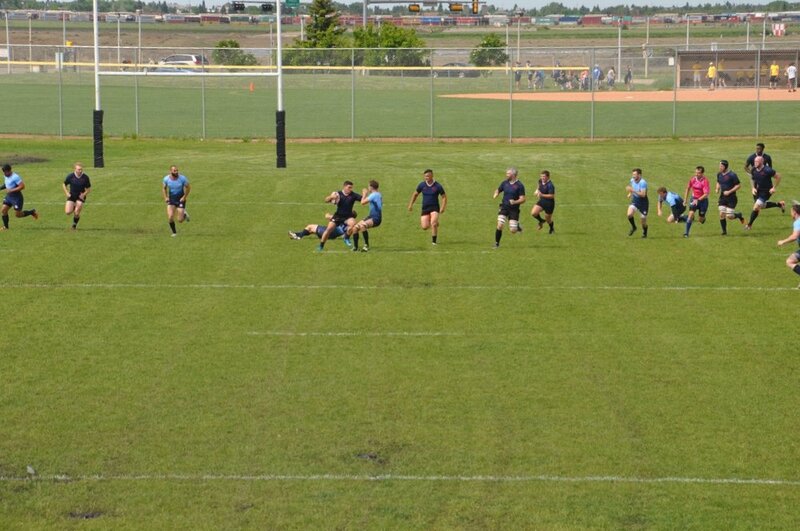 The Druids showed up with a powerful squad and ended up winning a back and forth affair 43-27. Being the first game of the season for many, lungs were tested and a yellow card each way ensured there was plenty of space for running rugby. After giving up an early try, the lads battled back to take a lead halfway through the first half. Eventually, fitness (or lack thereof) and a Druids squad hitting their stride led to the Clan staring down the barrel of a hefty defeat. However, with 20 minutes to go, captain Tom Stubbs laid down a challenge to his boys and they responded with a huge effort to rack up some great phase play and score a couple of late, well-deserved tries. In the backs, KC Idoko and Elias Mawa were cutting the Druids to shreds. Some work on finishing will surely result in lethal backline for this squad. In the pack, Jackie Flex (Jackson) warranted praise for a few huge scrums and getting through 80 minutes at loosehead despite appearing a bit haggard at times. It wasn’t exactly the start the boys wanted for their campaign, but they showed enough to suggest that they’re going to start clicking soon. If they cut down missed tackles, they’ll surely be contenders by the end of the season. The Clanswomen took the field on June 3rd looking to avenge a loss at the hands of the Saracens earlier this season. The ladies came out strong in the first half with the forwards using their skill and speed to break through the Saracens defence multiple times, but handling errors kept the Clanswomen out of the Saracens in-goal. The backs managed to keep the dynamic Saracens centres in check over the first half with a hard hitting defence led by Megan Manson at fullback. Going into half, the score was 12-10 to the Saracens. The ladies were unable to solve their handling issues which led to frustration and increased penalties. The Saracens took advantage of this and were able to keep the ball out of the Clan’s hands for most of the 2nd half. A series of late tries sealed the fate of the Clanswomen who lost the match 10-40. 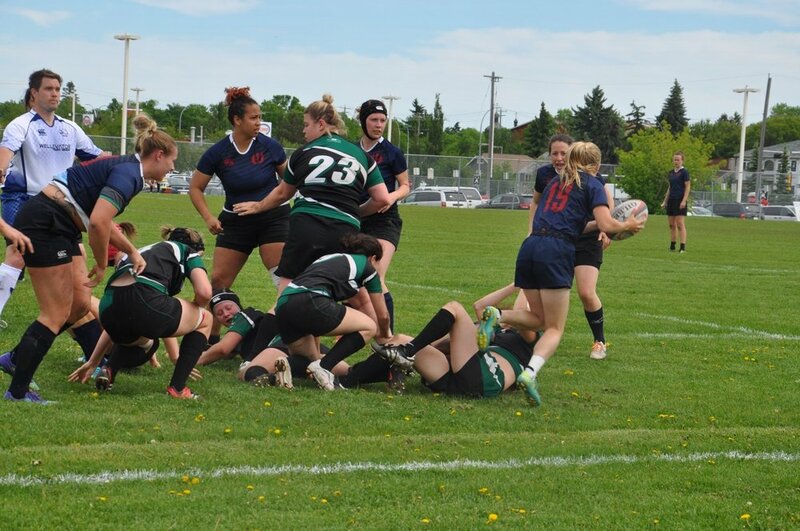 Despite the score the ladies put together, some exciting attack phases looked at their strongest for the season. The Clanswomen are finally hitting their stride together.